It’s raining cloud apps. You simply can’t escape the downpour. And, the simplicity and convenience of the cloud is most certainly enticing your business users, especially when it comes to online file sharing. But business beware. If you do not invest wisely in a secure file sharing and collaboration service for your workforce, you may be putting your data – your most important business asset – at risk. According to a Soonr study on mobility in the workplace, workers are leveraging any device they have to access business file content with laptops at the top of the list (73%), followed by smartphones (69%), desktops (51%) and tablets (48%). How are they accessing this business file data? Email (69%) and file sharing systems (52%). But, more often than not, those file sharing systems, like using email to send documents, are often not secure, protected or compliant with corporate policies. Companies need to enforce company policies among their business users and dis-allow access to public or consumer file sharing services to prevent costly data leaks that could produce damaging business risk. Instead they should select a secure, enterprise-grade file sharing solution that is easy for workers to access and use – from any of their devices – while providing the security, scalability, and control IT needs to remain compliant and protected. 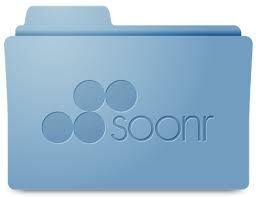 Unlike consumer offerings aimed at a single user, with minimal security and limited functionality, enterprise-grade products such as Soonr are designed for business, delivering secure file sharing and collaboration services to mobile individuals, teams and organizations for improved business productivity. They offer robust functionality such as full IT policy controls, 256-bit AES encryption, virus scanning for emailed files, and password and time-to-live protection for all documents, project and folder links and more. But just as important are end-user mobile productivity features such as integrated document rendering, editing and annotation, all from the mobile device. With strongly enforced access control policies and the enterprise-class file sharing solution in place to support them, employees can be free to share business documents the way they need to – with coworkers, clients, partners and vendors – without putting the business at risk. Sam Liu is the vice president of marketing for Soonr and an expert in mobile, cloud and enterprise technologies. He holds a bachelor’s degree in Computer Science and an MBA.